Is there a better alternative to Smell-O-Mints? Is Smell-O-Mints really the best app in Science category? Will Smell-O-Mints work good on macOS 10.13.4? 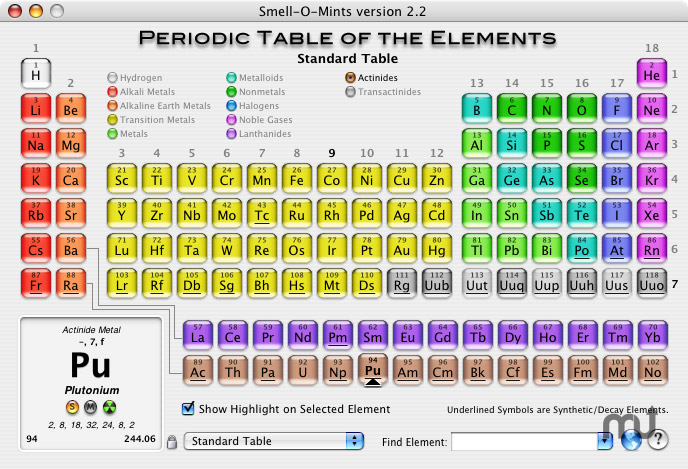 Smell-O-Mints is a Periodic table of the elements for the Mac. It's not as full-featured as a lot of other Periodic tables out there, but it's free and looks very nice. Especially if you put it next to the coffee table by the ferns. Version 2.32: Bug fix: progress window now properly closes when finished loading.